These books as are different as a Bulldog and a Whippet. I recommend them both, but note I have some caveats for each. 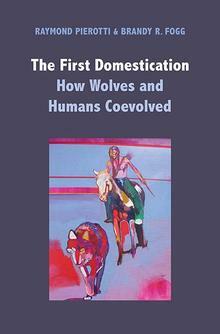 The First Domestication: How Wolves and Humans Coevolved is by Raymond Pierotti and Brandy R. Fogg. I love its perspective–it’s the first book I know of that incorporates indigenous perspectives on the origin of the domestic dog and the relationship between people and wolves. The authors argue that European perspectives, because of their focus on competition and aggression, have ignored the basic biology of wolves as well as indigenous accounts of cooperative relationships between wolves and humans. Specifically, they make the case that lone wolves–those pushed out of their packs–initiated our relationship by seeking companionship with other social mammals, including groups of humans. Thus, wolves got this whole miraculous thing going, and not just because they were bold enough to begin to forage in the garbage dumps of early human settlements (a la Coppinger). Rather, it was social attraction that drove the system, not a desire for food. This leads to my quibble: The authors are quick to disparage the hypothesis of others, including Hare and Coppinger in a way that sounds, ironically, a bit competitive, if not a tad aggressive. For example, starting on page 28, they harshly disparage Coppinger’s account of being “attacked by a wolf” at Wolf Park, and go on to make their own argument against the Coppinger’s hypothesis about the origin of the domestic dog. However, the arguments in The First Domestication have a lot of logic behind them, and overall I am finding the book fascinating. I’m not done with the book yet, but confess that I skipped to the end to read their account of Romeo, the wolf who lived on the outskirts of Juneau, in part because I reviewed A Wolf Called Romeo in July of 2014 and knew a little something about the story. They use Romeo as an example of single wolves looking for social relationships–Romeo loved to play with the local dogs–although still quite capable of hunting for their own food. In summary, this is a fascinating book for those a bit nerdy about evolution, the natural history of dogs and wolves, and the too rarely expressed perspectives of indigenous peoples. It’s not beach reading–it’s information dense with few photographs, but I’d argue, in spite of my quibbles, that it is an important addition to the field. The Dog: A Natural History by Adam Miklosi is a very different book, albeit not quite the book I was expecting. 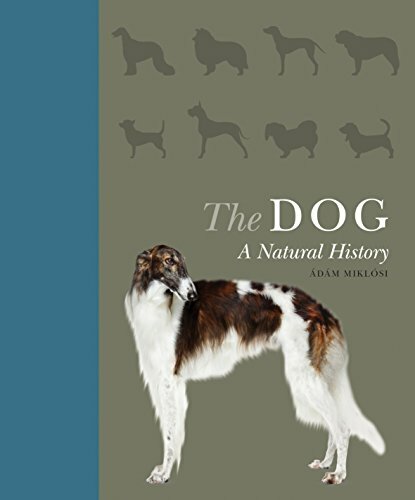 Given Mikosi’s credentials, extensive body of research and the subtitle “Natural History,” I didn’t imagine a book with as many photos as text, and an easy, breezy discussion of complicated topics like, you guessed it, the evolution of the domestic dog. On the other hand, and on the plus side, there is a ton of information packed into the book. For example, pages 54-55 shows a comparison of human/dog color ranges and visual acuity, a dog’s field of vision, and how head shape affects vision in different breeds. Granted, it doesn’t go into much detail on any topic, but it does do a good job of illustrating a great deal of information about dogs in an interesting and accessible way. (Who knew, for example, that the world record for the longest dog tongue (17 inches) is held by a boxer? Or that dogs can discriminate differences in size until the ratio becomes as low as 3:4? Some of this information compression is problematic. The authors note that “mixed-breed dogs were more likely to be more disobedient, more nervous, more excitable and more fearful”. (With no reference as to the source of that information. That just hurts my heart.) However, on the same page they say that mixed breeds received less training and were more likely to be kept outdoors. Surely a note about how these two factors might be related is in order? So, one needs to get this book knowing what it is, and what it isn’t. Not a lot of depth, but lots of range, with stunning photographs and illustrations. In summary, both of these books would be great additions to one’s library, as long as your expectations are in order. The First Domestication will appeal to those who love delving into the depths of zoology and anthropology, The Dog: A Natural History is a great book for young adults, or a dog-related waiting room, or you cozied up with a cup of hot chocolate, as long as you keep a sharp eye out for over simplifications. MEANWHILE, back on the farm: It’s been a lot more fun to take walks lately with the warmer weather, but it’s foggy and a tad weird at this time of year. I can’t believe how much snow has melted. Willie and Maggie are soooooo glad to be out and about again. However, we’re not working sheep because it is so slippery and gooey, so Maggie would tell you that her life is barely worth living if you could ask her. But somehow she’s coping, due to long walks, tug games with Willie, endless belly rubs on the couch and fresh beef, venison and sardines for dinner. Poor, poor Maggie. Always love your reviews because unlike a lot of reviewer your are honest about the review. The last picture on this post is beautiful. I knew Ray Coppinger as he was on the “wolf trail” I traveled with John Harris for two years. Fascinating thinker. Here’s what I’ve been wondering about for awhile. The definition of a species that I learned (many years ago) included that breeding animals of different species does not produce offspring that can reproduce, such as a donkey and horse producing a mule, which cannot breed. Yet, canis lupus, canis latrans and canis familiaris do breed and produce offspring that can successfully breed. What’s up with that? Makes me wonder if dogs, wolves and coyotes are really different species???? Having worked with wolves for awhile, I can’t imagine them approaching humans for company, though I can imagine a lone wolf might want canine company. Just found this article which addresses this idea. Do you know this author? New genetic studies show the closeness of canids. It is well known among Latin scholars, taxonomists, evolutionary biologists, natural historians, dog buffs, and other people familiar with the vagaries of taxonomy that the genus, or family, Canis takes its name from the Latin word for dog, meaning that all members thereof are technically dogs, “whether called dogs or wolves or coyotes or jackals or dingoes,” says Paul Errington in his book Of Wilderness and Wolves. More than 50 years ago—well before the advent of comparative genomics—Errington observed: “In view of the original wild sources of domestic dogs, it should not be remarkable that some domestic dogs may show inclinations toward wildness; in view of the taming if not partial domestication of wild dogs that has repeatedly occurred during historical times, it should not be remarkable that some of the wild dogs should continue to show inclinations toward tameness” (p. 45, Kindle Edition). He then cited examples of wolves and coyotes, living in close proximity and friendship with people they had grown to trust, whom they did not fear, as well as examples of domestic dogs turned “wild” and vicious. The wild dogs he discussed were usually adult wolves and coyotes who made a decision to befriend welcoming humans. Theirs is a friendship of equals not of beggary, although certainly a confused human observer could misconstrue the animal’s motive if the human provided food to the visiting wolf or coyote. Sometimes those adult canid friendships were stronger than those that wolf puppies formed with women who nursed them, apparently not an uncommon occurrence among hunters and gatherers, who would adopt all manner of animal. Although some of those wolves, sociable, curious, and inclined to fearlessness, even boldness when approaching strangers, would have stayed near the homes in which they were raised; others would have returned to more wolfish society. As I have noted previously in this blog, the great cynologist, John Paul Scott observed decades ago that wolves exist on a continuum of dogs in terms of size, temperament, boldness, fear, sociability, and other physical, emotional, and mental traits. Put plainly, dogs are wolves and wolves are dogs. They found that the first divergence of modern wolves from their common ancestor came about 52,000 years ago, following the divergence of New World wolves and coyotes. Dogs split next, meaning that they originated in Eurasia, just as most researchers have suspected. Furthermore, as Earth passed through the Last Glacial Maximum, and humans began to move across the planet some 25,000 to 8,000 years ago, virtually all modern wolves fell into genetic bottlenecks that the authors attribute to the colonization of Eurasia by anatomically modern hunters and gatherers with new weapons that allowed them to kill efficiently at a distance. They “domesticated” some wolves and killed others for their pelts. They may well have formed mixed packs with their new dogs to outcompete wolves for the large game all three favored. Dogs and wolves would have bred freely or with human encouragement, as people moved into “wild” new lands, using their dogs for transport and as guards, companions, and emergency food supplies. As a result wolf numbers declined while dogs increased. Thus, the amount of genetic differentiation between gray wolves and coyotes is low and not much greater than the amount of differentiation within each species… This result contradicts molecular clock calculations based on short mitochondrial control region sequences, which were calibrated using a 1-Ma (million years ago) divergence time between gray wolves and coyotes. Despite body size and other phenotypic differences between the two species ,for example, and a long history of coyote- and wolf-like forms in North America, the genomic data suggest that modern coyotes and gray wolves are very close relatives with a recent common ancestry. As that proposed correction indicates, dates from prehistory are constantly being revised. That is why it is necessary for people studying the evolution of anything, but especially dogs in all their variety, to understand what happened and where, and that cannot be done unless one understands the relation between early man and wolves, the essence of their partnership and its transformation. The dates will follow and probably will vary from place to place, as humans and dogs spread across the land—unless one day we “discover” that our cousins in Europe and Asia—Neanderthal and Denisovans consorted with wolves. Dogs, wolves, and other canids are closer genetically than some populations of people and should, by rights be considered one species. That means the configuration that says a wolf is a dog is a coyote is a dingo is the correct one. They are thoroughly admixed and in some places continue to hybridize whether by design or chance encounter matters little. For hybridize we should by rights substitute miscegenate, as in a mixing of races. Wayne, vonHoldt, and their colleagues were looking to see whether Canis rufus, the red wolf of the Southeastern U.S. and Canis lycaon, the so called “eastern” wolf, said by the U.S. 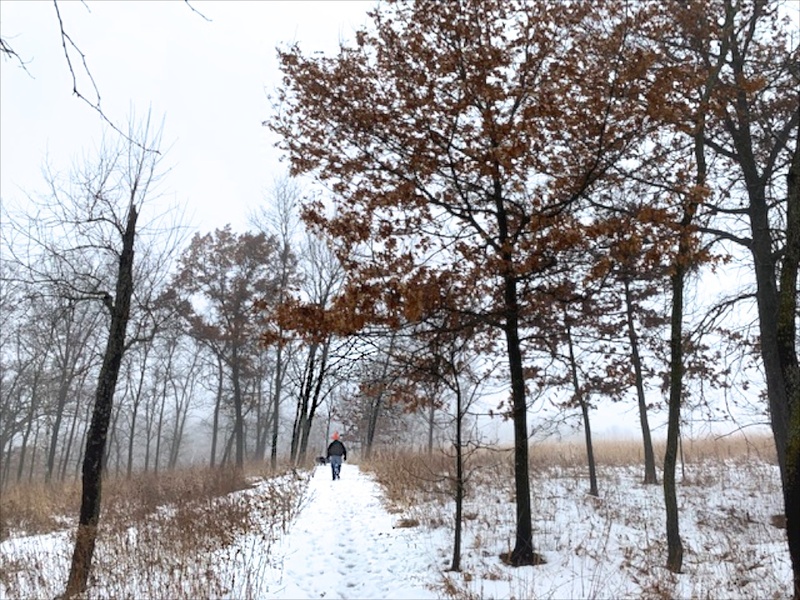 Fish and Wildlife Service to have inhabited the eastern U.S. through the Great Lakes region[GM1] . Recently the Fish and Wildlife Service attempted to use these putatively unique species of wolves to delist the gray wolf, minus the Mexican wolf subspecies, thereby removing its protection under the Endangered Species Act. The courts rejected the scheme, and vonHoldt and Wayne’s work shows through exhaustive analysis of the whole genomes of 28 wolves and coyotes, as well as other canines for comparison, that neither the red wolf nor the eastern wolf is currently more than a gray wolf X coyote hybrid. These arguments are not new: Wayne has been making them for a quarter of a century. But the US F&WS has previously rejected or ignored them, partly out of a reluctance to admit that the red wolf—one of the first species covered by the ESA and subject of one of the first captive breeding programs—is a hybrid. That program was started before modern genomics, when judgments of purity were based on physical measurements. The ESA was written to preserve species as the fundamental unit, the driving force of evolution, at a time when hybridization was dismissed as having no role—certainly not a positive one—in evolution. ESA made no provision for hybrids. They were believed to die upon birth if they made it that far, and if they were born, to be sterile, like mules; because by definition, species were unique breeding units. What is new here is the degree of genetic mixing of North American wolves and coyotes. There is no genetic purity among them—even those outside hybrid zones are not free of some admixture—and that seems the point. 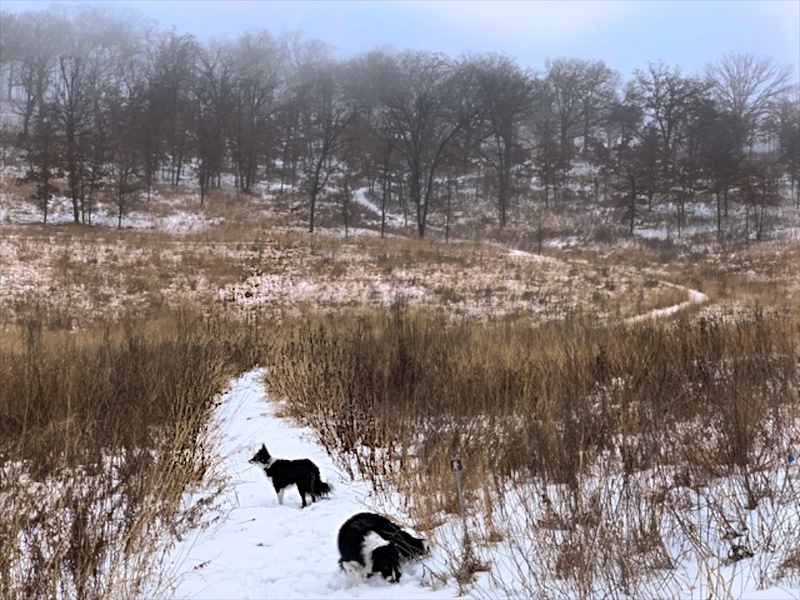 vonHoldt, Wayne, and their colleagues modestly suggest that the ESA needs to be more flexible in recognizing hybrids and managing their habitat in ways that might encourage the hybrid offspring to become more wolf-like in genotype and phenotype over time. Given the current political climate, it seems unlikely that the ESA will be modified to benefit animals of any sort for any reason, much less wolves or other predators. In recent years, F&WS has repeatedly sided with rabid anti-wolf and anti-grizzly bear forces in defiance of its mandate to follow the best available science in decision making, not politics. But the real question seems to me, are these animals hybrids, and the answer should be yes and no, not really. They have a mixed ethnic heritage, if one wants to use a human metaphor, but they remain dogs. Certainly, they exist in a human-made world because of human actions, but that is their reality, and they should be allowed to adapt to it, the way their ancestors adapted to their world. That’s one reason I find the eastern canid/coyote so fascinating. The animal is evolution in action, its mixed heritage of wolf/coyote/dog producing an animal who can move through the varied habitats of humans and apparently flourish. We don’t know what it is; it is still becoming, and we need to let it evolve. Some years ago we spent a year on the headwaters of the Battenkill in Vermont, a beautiful marsh with resident beavers, otters, deer, and deer hunters who in the fall skulked the boarders of the marsh, shotguns in hand. I never saw one of he eastern canids there, but it would have been safer than a human hunter with a gun because the odds of it harming a person were much less than the human shooting someone by mistake, an annual occurrence in those parts it seemed. The year we were there, for example, a man accidentally shot and killed his son and then, despondent, shot himself. It is long past time to recognize that the predator most likely to kill not to eat, not to survive, is, as Pogo knew, us. Mark Derr is the author of How the Dog Became the Dog, Dog’s Best Friend, and A Dog’s History of America. Love the pictures of your farm and that wonderful path through it. How about, regarding the evolution of wolf to dog, it may be BOTH Coppinger and Pierotti/ Fogg ideations. AND rather than OR. Academic rivalries can be as furious as any dog fight. Honey Lorin , I agree with you. However ‘species’ is a human invention and category. In reality there is a continual gradation from variations to sub-subspecies to subspecies to species. One definition is that if they do not interbreed naturally in the wild then even though they can be interbred to produce fertile off-spring they are sill classified as different species. However as I understand it wolves can interbreed and do with coyotes — which is supposedly known as the Red Wolf. Can you comment of the book, “A Dog’s Purpose” by W. Bruce Cameron? I’ve read it twice and really enjoyed looking at life through a dog’s perspective. I am interested in this…although by no means any where near an expert (soooo very far from it). But it seems that if canids can breed and produce offspring, and that offspring can also reproduce, then there is no reason to think there is a “pure” wolf or coyote or dog. It all came from somewhere and will keep on going as well. Fascinating and thanks to all the people who continue to study!